When Tel Aviv University announced plans to excavate in Jerusalem’s City of David, some liberal voices responded with anger. What is the most liberal archaeological department in Israel doing working in an area associated with a history they deny? The apparent (but unconfirmed) funding of the dig by the conservative organization Elad grated all the more, for as the liberals know, the Bible-confirming results that come out of excavations in the City of David are controlled by these radical Jewish settlers. More details about the planned excavations are now online. Yuval Gadot has posted his research plan for excavating on the eastern slope south of the Gihon Spring in Shiloh’s Area D3. He plans to excavate six squares in the first four-month-long season. 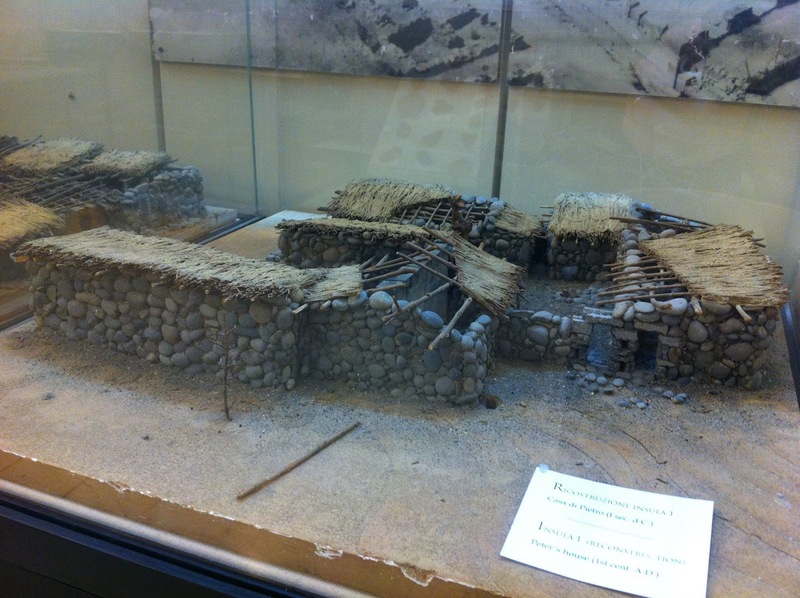 Gadot hopes to discover houses as well as the eastern wall of the city in order to address two questions: (1) How does household archaeology illuminate social order and cultural identity? (2) What was the size and growth pattern of Jerusalem? In regard to the second question, Gadot wants to determine if the massive wall that Reich and Shukrun found in the Kidron Valley was a city wall or a revetment wall. Before excavation begins, the archaeologists have to remove the dump of previous excavations. The area will be open to visitors and a 24-hour webcam will broadcast the work on the site. The Grotto of Saint Paul, located in the foothills on the southern side of ancient Ephesus, has recently yielded intriguing finds related to early church history. The cave has been used from the early Christian era until the late 19th century for worship purposes, but was only “rediscovered” by modern researchers in 1995. The grotto is adorned with numerous inscriptions and illustrations with the visual portrayals covering the gamut from Old Testament saints to soldiers from the Byzantine Middle Ages. The artwork itself ranges in age from the 4th century to the 12th/13th century, and the theme is consistently Christian. The actual grotto enclosure is in the form of an elongated cavern measuring approximately 15 meters long, 2 meters wide and 2.3 meters high. The main passage leads back to a slightly expanded rectangular area measuring about 2.7 meters wide. In the late 1990s Dr. Renate Pillinger from the University of Vienna discovered an early fresco on the western wall of the grotto’s passageway that includes a clear picture of the cave’s namesake, the Apostle Paul. The painting, which had been plastered over by subsequent occupants, is dated by Pillinger to the late 5th to early 6th century AD. The illustration also includes two women: Thecla to the left and her mother Theocleia to the right. In the center of the image, Paul is shown seated with a book on his lap and his right hand raised with two extended fingers in a manner depicting a preaching gesture. His discourse is the object of interest to the young woman Thecla, who is depicted on the left side of the fresco peering out a window. But if the writings which wrongly go under Paul’s name, claim Thecla’s example as a license for women’s teaching and baptizing, let them know that, in Asia, the presbyter who composed that writing, as if he were augmenting Paul’s fame from his own store, after being convicted, and confessing that he had done it from love of Paul, was removed from his office. The fact that Tertullian (c. 200 AD) was aware of the Acts of Paul and Thecla, and felt it necessary to comment on it, indicates both the text’s widespread circulation and its antiquity. However, it appears that Tertullian’s denouncement of the book had little effect on the artist in Ephesus who portrayed one of its central scenes in a prominent manner in the cave. Unfortunately, in order to protect its delicate contents, the grotto is not typically open to the public at large. Plans to reconstruct Herod’s tomb at the Herodium have been scrapped. The same article reports that the Herod exhibition at the Israel Museum has been extended to January 2014. 105 million euros is not enough to save Pompeii from deterioration, according to a New York Times video. Ferrell Jenkins is back in Israel and he recently spent a morning with Shmuel Browns. 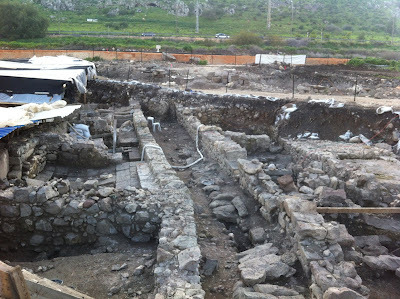 The Spring 2013 season at Tel Burna is over and they have found evidence of a destruction in the 9th century. There are still a few days left to sign up for the summer season. 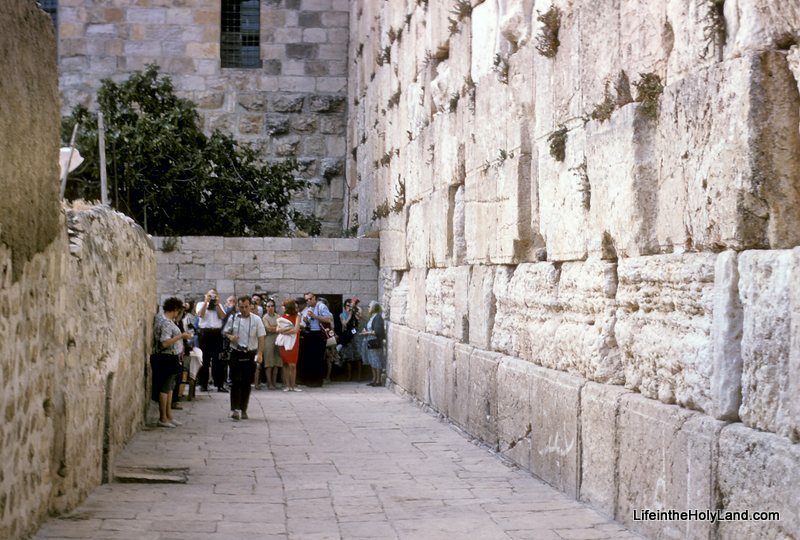 Haaretz’s “Tourist Tip #218” describes the significance of the Broad Wall of Jerusalem. The temporary bridge to the Mughrabi Gate next to the Western Wall still stands, but next month a committee is going to meet in Paris to discuss its replacement. FoxNews reports on apps for archaeology. 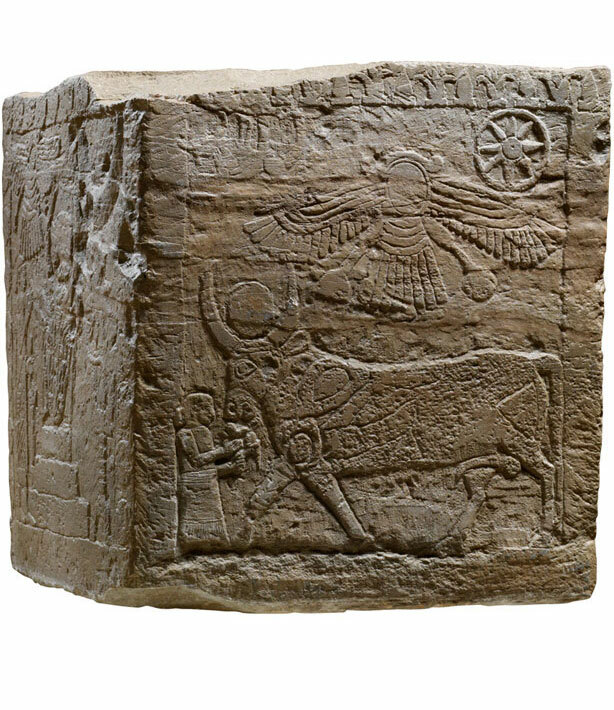 Berlin’s Pergamon Museum has a new exhibition on the Mesopotamian city of Uruk. Better photos are available here. A rare, original set of the 13 volumes of the Survey of Western Palestine has just been listed by a UK bookseller for $6,400. For $35 more, you can pick up a digital copy of the oversized maps. Key Map for the Survey of Western Palestine. All 26 maps (plus one from Transjordan) are for sale here. Last week, a link was provided on this blog to some fascinating 360-degree panoramas of the remains at Laodicea. So our "picture of the week" comes from Volume 10 of the Pictorial Library of Bible Lands which focuses on Western Turkey. The image captures the remains of the main street in Laodicea. 2. This letter to the Laodiceans is filled with local allusions which would have brought his message to life for the people of the city. a. The church is said to be “poor,” contrasting with Laodicea’s role as the banking center of the province of Asia. Laodicea was famous for its wealth, changing money and minting its own coins since before the 1st century AD. Even when an earthquake destroyed their city in 60, the Laodiceans refused aid offered by Rome and rebuilt the city at their own expense. b. John also says that they are “blind”; Laodicea was the chief medical center of Phrygia. Nearby a temple and great medical center/school was dedicated to the Roman god Men Karou (identified with the Greek god Zeus), famous for its production of eye-salve from “Phrygian powder,” said to cure weak eyes. The irony is that these people, who took great pride in their medical skill, were unaware of their own spiritual blindness. So, like so many of the prophets in the Bible, Jesus uses the cultural environment of the hearers to drive home spiritual truths. Understanding that cultural background leads us to a deeper understanding of the text. This photo and over 900 others are available in Volume 10 of the Pictorial Library of the Bible Lands and is available here for $34 (with free shipping). 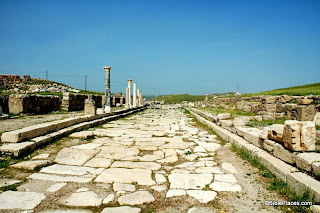 Additional images of Laodicea and links to other pages that discuss the site are available on the BiblePlaces website here. Images and information about textile industries are available on the LifeInTheHolyLand website here. A sonar survey has identified a large stone structure on the floor of the Sea of Galilee. It may be related to the contemporary third-millennium BC site of nearby Beth Yerah (Khirbet Kerak). The scientific article includes illustrations. Archaeologists have discovered a port on the Red Sea from the time of Pharaoh Cheops. Admission to the Israel Museum is free on Independence Day, April 16. Sharks are rare in the Mediterranean Sea but not in the Red Sea. One came close to swimmers in Eilat last week. 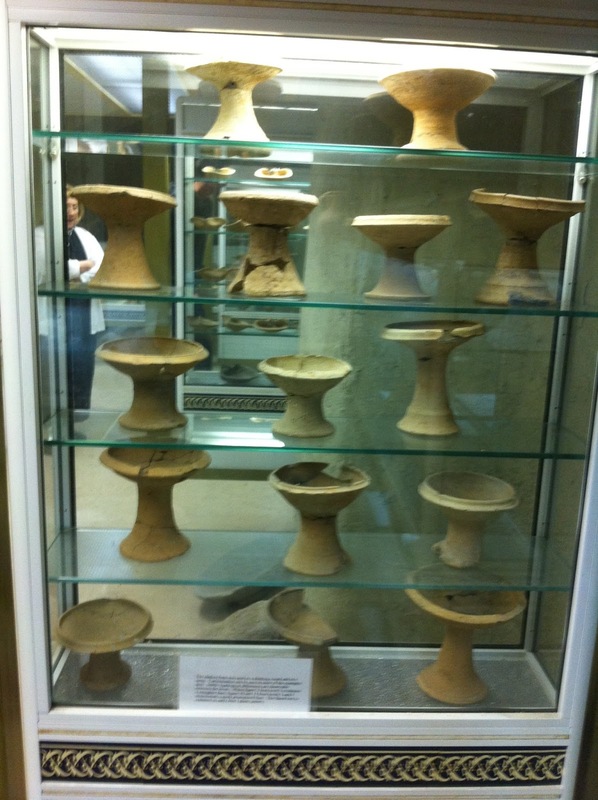 Gannon University in Erie, Pennsylvania, has inaugurated its Archaeology Museum Gallery. 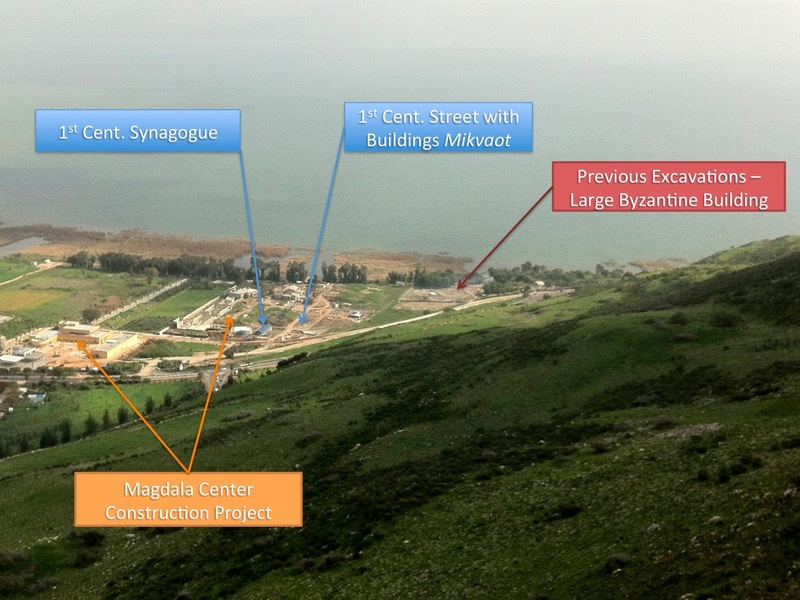 If Israel was ever mapped out on the game of Monopoly, Megiddo would be Boardwalk. 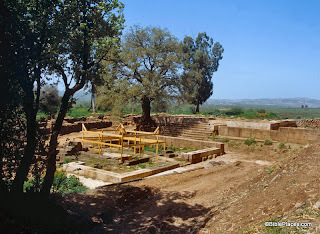 Kyle Pope has written a good article on “The Hinnom Valley and Jesus’ Teaching on Final Punishment.” Barry Britnell shares a photo of the valley. Details for volunteers for this summer’s dig at Tel Burna are now available. Apply before May 1.
zmetro has four 360-degree panoramas of Laodicea. The excavators and restorers are making great progress at the site. The Benshoof Cistern Museum houses the remains of three Late Bronze-early Iron Age I (1550-1100) tombs discovered at Tel Dothan (Genesis 37:17, 2 Kings 6:13) during the Joseph Free-lead excavations in the 1950-1960s. The small exhibit is inside of a Roman/Byzantine cistern on the campus of St. George Cathedral and College in East Jerusalem. 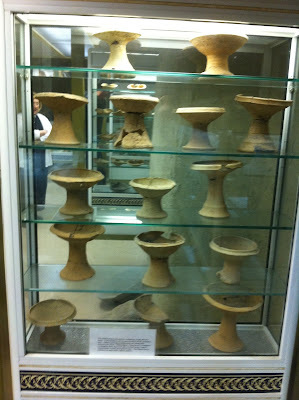 This small museum is situated next to several important historical, archaeological and research sites such as, The Tombs of the Kings, the Garden Tomb, exposed sections of Josephus' Third Wall, the American Colony, the Albright Institute, and the Ecole Biblique (French Archaeological School). 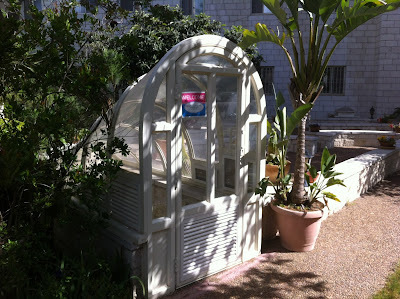 It is also very close to several of Jerusalem's largest hotels (e.g. Olive Tree, Dan Panorama, etc.) near highway 60. To get to the museum it is advised that you use the above Google Map to find St. George Cathedral as backroads (and sometimes main roads) in Jerusalem are notoriously tricky for new visitors and even long-term residents. Upon entering St. George, either from the main entrance on Nablus/Shechem Street or the back entrance on Salahdin Street, you should walk through the campus to the center of the compound where you will find a door with a nice welcome sign (see picture below), which will lead you down into the exhibit. Admission is free. The hours of operation are from 8:00 am-2:00 pm Tuesday-Saturday and by appointment for other times (972-2-626-4704). The lady who curates the museum is quite pleasant and very excited to show off the remains for those interested - even if your visit is slightly after hours or unannounced (personal experience on both counts). Depending on your level of interest and the size of your group you should estimate between 20-30 minutes to view the cistern exhibit. The materials in the museum were excavated by Joseph Free in the 1950s, but were not published until the mid-1990s by Robert Cooley who was in charge of publishing the rest of the material from the site (see here for the most recent final publication of Dothan from the excavations carried out on the tell). The majority of the objects come from Tomb 1 - which according to the museum pamphlet is "one of the largest single-chambered cave burials of the Late Bronze and early Iron Ages to have been excavated in the Levant." It is estimated that 250-300 Canaanites were buried inside of this cave, over 3,000 pottery vessels, ca. 100 personal ornaments, ca. 100 weapons were found with the skeletal remains (per pamphlet). One of the great strengths of this exhibit is the well-defined organization of the various types of pottery. Someone interested in such things as ceramic typology of the Bronze-Iron Age might be intrigued by seeing whole shelves filled with LB-Iron I lamps, chalices/goblets (see picture below), kraters, bowls, pyxides, lamps, and more (links to wikipedia description are meant to describe the form of the vessel not the specific type that you would see at this museum). Burial is described in scripture as "gathered to his people;" a time of reuniting with family members (Gen. 25:8-10; 17, 49:29-33, Judges 2:10. et al) The remains in the tomb corroborate these texts and also point to the practice of a memorial feast with an inordinate consumption of wine (Jer. 16:5-9). At the time of death the body was taken to the family tomb and either laid on the floor or on top of the debris or previous burials. It is believed a funeral banquet was held and a portion of the feast given to the deceased, and left to provide sustenance for the journey to the next world... When a subsequent death occurred the chamber was reopened and the remains of the previous burial unceremoniously swept aside, often destroying the skeletal remains and offerings. The newly deceased's body would be carefully laid to rest and another funeral meal would ensue. Scholars infer that at the time of death an individual was considered animate, requiring food for his other journey. Decomposition of the flesh seems to have signalled the departure of the deceased to the netherworld. Thus the remains no longer held any significance. Archaeologists working for the Israel Antiquities Authority (IAA) recently excavated a unique ritual bath (mikveh) in the Kiryat Menachem neighborhood of Jerusalem (southwest of the Old City). Three separate collecting tanks (otzar) were carved into the rock in order to collect as much rainwater as possible. 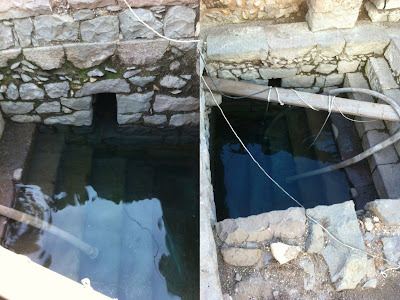 Numerous ritual baths have been excavated in Jerusalem in recent years, but the water supply system that we exposed in this excavation is unique and unusual. The ritual bath consists of an underground chamber entered by way of steps. The miqwe received the rainwater from three collecting basins (otzar) that were hewn on the roof of the bath, and the pure water was conveyed inside the chamber through channels. The ritual baths known until now usually consist of a closed cavity that was supplied with rainwater conveyed from a small rock-cut pool located nearby. The complex that was exposed at this time is a more sophisticated and intricate system. The bath was apparently associated with a settlement that was situated there in the Second Temple period. 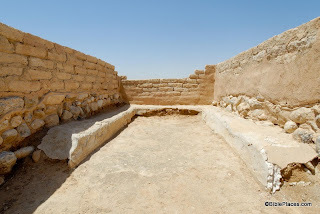 Presumably, due to the rainfall regime and arid conditions of the region, the inhabitants sought special techniques that would make it possible to store every drop of water. It is interesting to note that the bath conforms to all of the laws of kashrut, like collecting the water in it naturally without human contact, and ensuring that the water does not seep into the earth which is why the bath was treated with a special kind of plaster. The full press release is here, and three high-res photos are available in a zip file. The story is also reported by the Jerusalem Post and Arutz-7. Archaeologist Benyamin Storchan stands in the immersion chamber of the mikveh. All photos courtesy of the IAA. The second and third are by Skyview. Miriam Feinberg Vamosh has written an article on the little-known Church of St. Mark near the Armenian Quarter of the Old City of Jerusalem. According to tradition in the Syriac Orthodox church, this was the place of the Last Supper. A Byzantine winepress has been excavated at Hamei Yo’av near Kiryat Gat. High-resolution photos are available here (zip). If you’re traveling to the Middle East, it’s worth preparing not only for the sites, but also for the food. Debra Kamin has four rules for eating hummus. 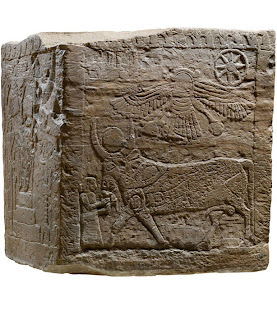 The LMLK Blogspot has a “modern ancient art mystery” for savvy biblical archaeology sleuths. The AP has more about the new excavations in the city of Ur. Scientists are studying a battering ram found in a Greek or Roman ship sunk off the coast of Libya. The ruins of ancient Palmyra are being threatened by the fighting in Syria. Some new maps of the ancient world are now going online at the Encyclopedia of Ancient History. Aren Maeir will be lecturing on “The Search for Goliath” on April 18 at William Jessup University. Yesterday’s quotation was by William Dever, long-time crusader against biblical archaeology. It’s from page 14 of Archaeology and Biblical Studies: Retrospects and Prospects. Evanston, IL: Seabury-Western Theological Seminary, 1974. One of the exciting things about living in Israel is how quickly archaeology can change the landscape of our understanding of the biblical world. Our picture of the ancient Near Eastern world is constantly developing and becoming more nuanced, largely due to the work of archaeologists operating in Israel. Israel, home to an estimated 30,000 archaeological sites (and counting), produces large quantities of archaeological architecture and materials of biblical significance that are often passed over by tourists, students and even scholars who visit the Land. While readers of this blog are considerably more well-informed regarding biblical archaeology's rapid developments than the general public - there still remains a bit of a gap between exposure to the information and first-hand experience through visiting the various "secret places" scattered throughout the country. With this in mind, the purpose of this upcoming series is three-fold: 1.) to expose the reader to off-the-beaten path locations, new archaeological sites and museums, and significant views and overlooks; 2.) to inform the reader on the importance of these locations by connecting the site with the historical/biblical data; and 3.) to show the reader how to get to these locations when visiting Israel. Wayne Stiles wonders why the largest ancient site in Israel has been largely forgotten today. Leen Ritmeyer provides context to the recent excavations of the “gate of hell” in Hierapolis. On April 1, Luke Chandler revealed a stunning new translation of the Khirbet Qeiyafa Ostracon. Few tourists are visiting Egypt these days and it’s hurting many who work in the industry. Travel Weekly recommends how to spend a day visiting the harbor city of Jaffa (biblical Joppa). A review of the new excavations of Azekah is available in a professionally-made 12-minute video.